Area II Agency On Aging Serves eleven Counties and two reservations. Area II is an umbrella organization for local Councils on Aging. Area II also provides some services directly to seniors. Meals on Wheels: Monday, Wednesday and Thursday from the Central Commons. 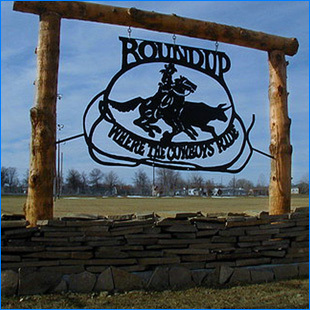 Tuesday, Thursday and Saturday meals are contracted from the Roundup Memorial Hospital. Local to the Central Commons for meals and some activities. Monday through Friday 8:30 a.m.-4:30 p.m.
RSVP works with citizens over the age of 55 who volunteer and want to be active beyond their home in the local community. RSVP is managed by a local Board of Trustees. RSVP serves 5 counties: Musselshell, Golden Valley, Petroleum, Fergus and Judith Basin. RSVP Volunteers work locally with: Meals on Wheels, Food Bank, Gold Thimble, Senior Kitchen, School Lunch, America Reads in the Elementary School, Children’s Bazaar, RIDE\4th of July, Summer Dinner Theater and Camp, Musselshell Valley Museum and various other programs that support the local community. RSVP provides Income Tax Aide to Senior Citizens. RSVP recruits help for yard work and snow removal for Senior Citizens. RSVP Volunteers are recognized for their work with a Volunteer Recognition Banquet. The Travel Schedule is listed on the Face Book Site along with other notices.